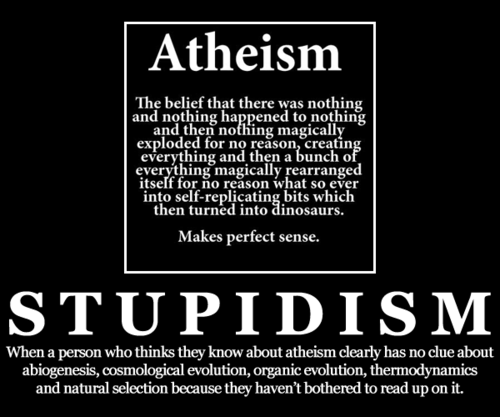 Atheism vs Stupidism . . Wallpaper and background images in the Atheism club tagged: atheism atheist religion christianity. Also when a person thinks atheism is a 'belief'. Not to mention confuses atheism with evolution. Well... isn't Atheism a "belief"? The belief that gods do not exist? I get what you are saying though, I just think its an interesting debate. And yeah, the evolution thing here bothers me too.